You know how for centuries people have claimed that it's a dangerous world to bring children into? 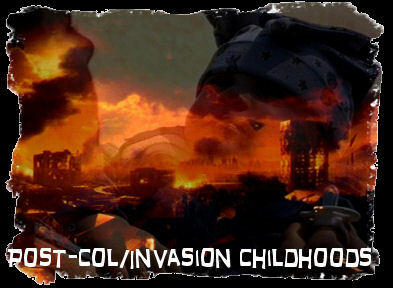 They don't know how right they are... these stories are about children growing up with the threat of invasion and colonization over head. If not already on land. Sometimes invasion doesn't mean the end for mankind. These babies were born after they arrived.